Bitcoin’s price continues to climb and its push onto the main stage of global economics is finally taking form, with the launch of several revolutionary blockchain- and bitcoin-based companies aiming to provide financial products to people who would otherwise not have access to them. Meanwhile, the anonymity that comes with the powers of decentralization is still a draw for hackers, who have managed to obtain millions in “bitcoin ransoms” after injecting a virus that encrypts a user’s data until the ransom is paid. Unstoppable: What can put the brakes on bitcoin? Bitcoin is again at the center of attention of major financial news outlets. Gaining over $200 in just one week, and once again reaching fresh highs, Bloomberg described bitcoin’s price action as a “helluva run,” while CNBC called it “blockbuster.” Business Insider made the proclamation that bitcoin may be undergoing something of a bubble, which is not an unlikely scenario, as “whale” investors who bought low are of course willing to sell high. Such a sell-off could trigger an even bigger sell-off, much like an avalanche, seen in the fates of MtGox and the global financial crisis of 2008. Bitcoin expert Charlie Shrem, on the other hand, sees bitcoin as still tremendously undervalued, making the proclamation that if you bought 10 bitcoins now, you could buy a “nice house” with them in 30 years. Shrem recently came revealed himself as an opponent of the renegade Bitcoin Unlimited (BU) movement, summing up the whole process as “glorified polling,” and going so far as to claim that BU director Roger Ver is no longer acting out of rationality but emotion in his push to get BU to replace BTC as the real bitcoin. Coindesk notes that the average transaction fee is now approximately one dollar. If the internal architecture of the Bitcoin Core software maxes out, which it seemingly has, it means that miners will only accept transactions with the highest fees, delaying the average confirmation time for users who choose to apply only “average” fees. The cost-prohibitive nature of transacting in bitcoin will undoubtedly encourage crypto users and investors to look elsewhere, into coins with cheaper or faster transaction times, like Ether and DASH, respectively. In the meanwhile, big money continues to pour into bitcoin from around the globe, seemingly unaware or uncaring about potential fee or hard fork problems. 2017 will likely be the year that bitcoin was first considered to be more than a blip on the radar of the global economy. Cryptocurrency startup techs are springing up in dozens of unlikely countries – India, the Philippines, Venezuela, Indonesia and Pakistan to name but a few – realizing the potential of blockchain technology to provide cost-effective solutions to everyday problems. From its classic use as a store of value (sometimes to escape the harsh financial regulations of oppressive governments), to speeding up monetary transactions and the conversion of value from one digital form to another, countries that are interested in saving their government and citizens money are turning more and more to the sanctioned implementation of cryptocurrency. Bitcoin-based remittance companies like BitPesa are attempting to use bitcoin to unify the exchange of money across the entirety of the continent of Africa, by letting senders exchange their local currency for bitcoin, and then exchange the bitcoin for the local currency of the recipient. They claim to cover over 85 countries and aspire to connect African businesses intra-continentally with their platform, potentially saving time, money and travel for millions of users. As evidence of their explosion in popularity, they were recently ranked among the 6 best blockchain and bitcoin remittance companies. Another example of a cryptocurrency-backed foray into the world of financial services includes remittance processor’s LightYear teaming with Stellar (STR) to systemize a cross-continent, cross-currency and cross-asset transaction platform. LightYear hopes to make use of Stellar’s near-instantaneous transaction confirmation process (3-5 seconds) in order to improve payment remittance systems worldwide. They hope to compete with leading remittance companies by offering an open and public financial infrastructure which can reduce costs for both banks and businesses alike. As the global remittance industry is predicted to grow as much as 5% a year, increased volume will require increased sophistication, in order to keep up the pace with world demand. Not everybody is happy about the rise of bitcoin. As early as 2013, it was discovered that hackers were illegally using large amounts of computer power in order to mine bitcoin. This process was triggered by the deployment of a virus-like program that could not only network computers together for the purpose of harnessing their CPU power to mine bitcoin, but also masked the CPU usage to make it look like nothing suspicious was happening at first glance. Since then (and even before), hackers have found ways to manipulate unsuspecting operating systems and their users into obtaining bitcoin. 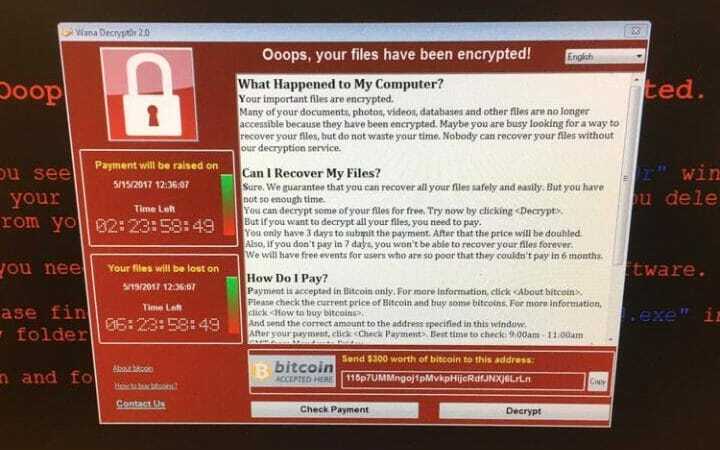 Other countries affected by the unforgiving nature of this most recent BTC ransomware attack include the US, Spain, China, Russia, Italy, Vietnam and Taiwan, which have corrupted the files of over 45,000 users. Systems in up to 74 different countries have reported bitcoin ransomware attacks since they were first deployed in 2013. 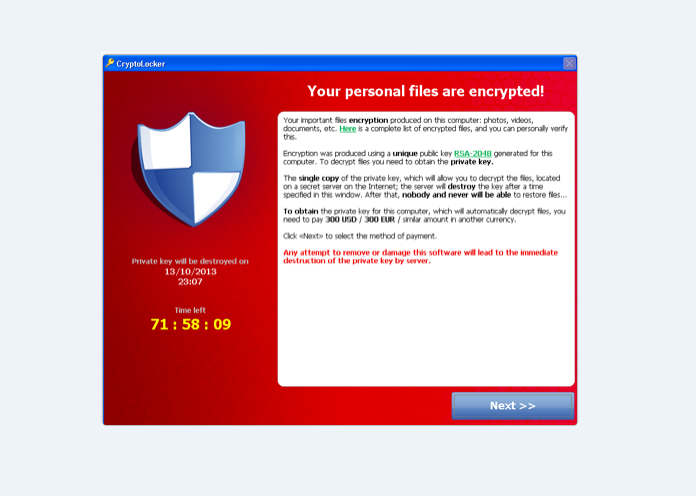 In response to the government’s inability to quickly address an ever-growing problem, software developers have taken it upon themselves to generate freely (or cheaply)-available anti-ransomware decryption software in order to thwart the havoc created by hackers. In the meantime, computer owners are highly advised to educate themselves about the danger imposed by ransomware and how to best avoid having it cripple your computer.